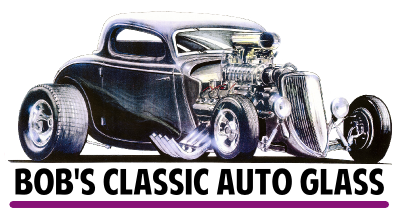 Bob's Classic Auto Glass carries a complete inventory of windows, rubber, and associated parts for cars and trucks from 1920-present. We ship to classic car enthusiasts all over the world. Outside the US and Canada, orders can be shipped via freight forwarders. Started in 1984, we have been providing glass and related products to thousands of satisfied customers. Bob's staff can cut and polish windows reproduced from thousands of original factory templates for most makes and models. We encourage all of our customers to call us to discuss your glass and rubber needs before placing an order online, so we can ensure you get exactly the right parts you need. The experienced staff at Bob's can help you select from among the different products we offer, and can look up window sizing information using your vehicle's body style number. In addition to original factory size glass, we can provide you with custom sized glass from laminated flat safety glass for chopped cars and trucks. We do not custom cut any curved glass. Talk to us about your needs on our toll free stateside number 1-800-624-2130, or 541-925-3260 internationally, 8:30am till 10pm Pacific Standard Time, 7 days a week.